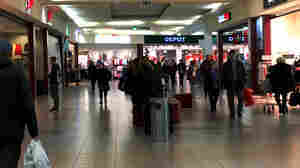 November 29, 2017  Salzgitter is the first German city to ban more refugees from moving in. Two others have followed. The U.N. refugee agency has criticized the ban, but it is expected to be repeated elsewhere. November 20, 2017  Attempts by German chancellor Angela Merkel to form a coalition government have collapsed — earning a rebuke from the German President, who called on politicians to put aside their party interests for the sake of the country. November 20, 2017  German Chancellor Angela Merkel now faces the choice of forming a minority government or calling new elections. Either way, the failure is a setback to Merkel's leadership. 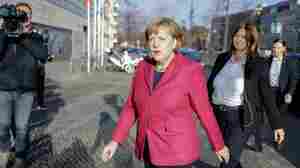 November 17, 2017  The unprecedented prospect of a repeat election looms as Merkel and her diverse would-be coalition partners try to surmount differences. 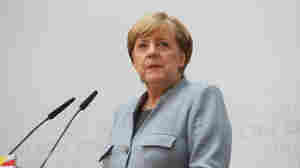 "This could be the end of Angela Merkel," warns a commentator. November 10, 2017  German automakers are under fire again, this time from European owners of vehicles linked to the diesel emissions scandal who, unlike American owners, have gotten no compensation. October 16, 2017  No party won a majority but Foreign Minister Sebastian Kurz, 31, is poised to head the government following tough coalition government negotiations. October 15, 2017  Austrians vote today in an election likely to shake up the traditional two-party structure of politics in Austria — and see an anti-immigrant far-right party form part of the next government. 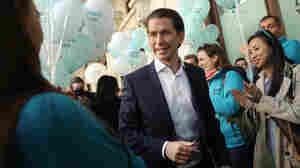 October 15, 2017  No party won a majority in Austria's national election but Foreign Minister Sebastian Kurz, 31, is poised to head the government following upcoming coalition government negotiations. September 25, 2017  Angela Merkel is chancellor of Germany again, but her party lost a lot of support, and the far right are in parliament for the first time in decades. The election results are a major shock for Germany's political establishment. 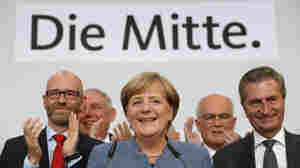 September 24, 2017  Preliminary results show German voters gave Chancellor Angela Merkel a mandate for a fourth term, but with far fewer votes than needed for her to govern without forming a coalition. September 24, 2017  Voters in Germany are expected to elect Chancellor Angela Merkel to a fourth term, but a new right-wing party may gain more influence.